Paw Print Genetics - My Dog is Better at Computers Than I Am. How Do I Place an Order at Paw Print Genetics? Click the Login button at the top of the web page. When the Login To Your Account screen appears click the Create An Account button. In the Create New Account screen, enter all the required data then click the Create Account button at the bottom of the screen. You will receive an email asking you to activate your account. You must activate your account by clicking on the link provided to you in the email. (If you do not see the email, check your junk/spam folder). Once you have activated your account go to the website and click the Login button. This time enter your Username and Password and click Login. If you get an error you may need to refresh your browser or click on another page in our website. You will have successfully logged in when the Login button turns into the My Account button. Once logged into your secure Paw Print Genetics account, click the My Account button at top of the screen. In the dropdown list select My Dogs. In the My Dogs screen click the Add New Dog button. In the Add a New Dog screen enter all the required data then click the Add Dog button. If you have several dogs to enter click the Save and Add Another button. When you have finished entering your dog(s) you can click the Find Tests button. This will Search our catalog of tests for your dogs breed. At the top of the webpage click Find Tests then in the dropdown select Search Breeds. Type the breed of your dog in the search field. 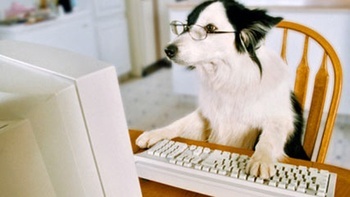 If you would like to order all the tests available for your dog click the Select Panel button. To order individual tests simply click the check box next to the test(s) you would like. Click the Add Selected To Cart button. In the next Choose Dogs screen click the Select Dog From Account button and then select the dog from the drop down list. Repeat this step to order the same test(s) for multiple dogs. From here you can either Keep Shopping, Checkout or Review Cart. It’s that simple to place your order. If you are ordering puppies, just list them as puppy1, 2, 3, or red puppy, red female, or any other way that you use to tell them apart. Once they become registered, just notify us by clicking on the edit button for each of your pups and submit a change form. We will then change their names and issue new laboratory reports and new Canine Genetic Health Certificates. Be sure to check out our discounts and occasional promotions before you complete your order to save money. Genetic testing is expensive, but it shows the world that you care about the health of your dogs and that you are a responsible breeder. You can further increase the value of your breeding program by displaying your results on Paw Print Pedigrees. At any point in the process, you can contact us and we would be happy to walk you through the ordering process or even place your order for you. Author's note: Thank you to CJ Shoemaker who has a way of writing these instructions so that everyone can understand them!